The Pokémon Company International will be making a splash at this year's 'Summer in the City' at the ExCeL London on Saturday 15th August, by attending with a horde of five Pikachu who will wander around the event for you to grab a selfie - if you are so inclined. Summer in the City is an annual event that brings together the YouTube community, ranging from creators to viewers and industry professionals. In celebration of the newly launched Pokémon Trading Game expansion, XY - Ancient Origins, attendees of the expo will be able to see a horde of five Pikachu making their way through the halls of ExCeL London in the afternoon. Summer in the City 2015 will have live performances with back-to-back stage shows from a wide range of YouTube's personalities, discussions from panels concerning a number of current topics, and meet and greets, all on top of an expo hall packed with various things. 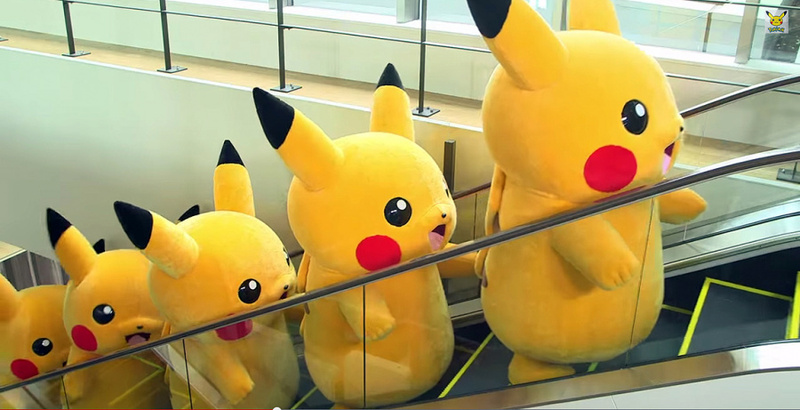 Are you planning to attend the Summer in the City event this Saturday to grab a glimpse of this Pikachu invasion? As always, let us know with a comment below, while we're also giving you another chance to enjoy this video of a Pikachu invasion in Japan. I'm having a cuteness overload. Oh, and I thought only Japan had these kind of things. I MUST GET THEIR AUTOGRAPH AND THE PICTURE OF ME AND 5 PIKACHU! Only 5? We need 100 for a proper invasion. At least 100. Cool, I'd love to take a selfie with them, though it's not quite worth journeying all the way to London just for that. DANCE DANCE DANCE, GET ON DOWN WITH PIKACHU! @AVahne 5 is an ingame hoard though. only need 1 female for a proper invasion. pichu anybody? Please come to America. NoA please localize the pikachu invasion. And Pikachu reminds the world why he's still the most famous Pokemon 700+ Critters later.